The former Miss Universe shared an update about her cancer on Instagram on Friday. 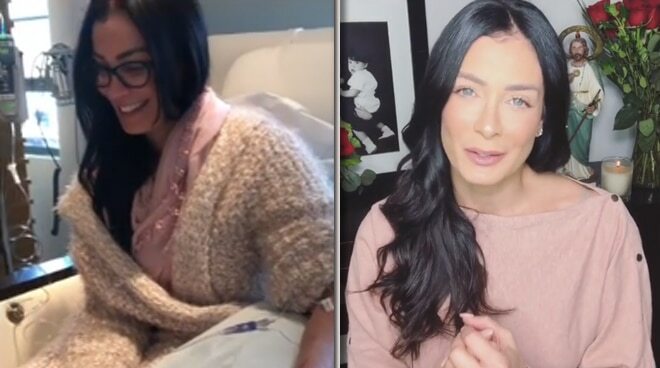 Former Miss Universe Dayanara Torres posted an update about the state of her cancer via social media on Friday, March 1 (PH time). In an Instagram post, Dayanara happily shared a good news to her followers. "I'm so happy to give you some good news. Last week's tests show that my cancer is not spreading and is not reaching any of my organs!," she stated. She added that she would be starting her treatment this week. "I [will] start my first radiation treatment. I might get a bit weak & some muscular pains but I'm asking you," she said. She also extended her gratitude to those who have been praying for her healing and recovery. "I wanted to take a moment to tell you all thank you for all your prayers, your love and support at this very difficult time in my Life. I can assure you that your prayers have been heard and they have reached me," she wrote. It was in February when Dayanara revealed that she has skin cancer.